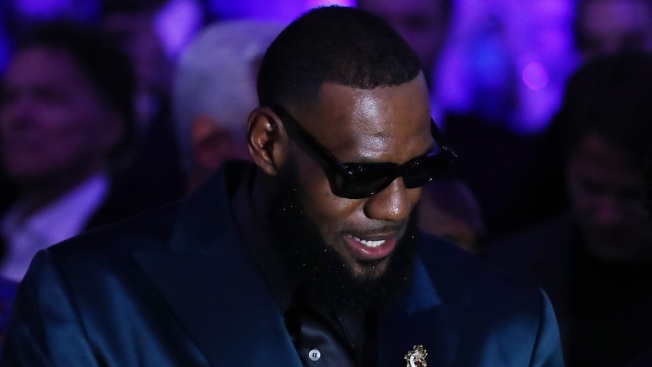 LeBron James attends the Gennady Golovkin and Canelo Alvarez WBC/WBA middleweight title fight at T-Mobile Arena on Sept. 15, 2018, in Las Vegas, Nev.
James' production company SpringHill Entertainment tweeted Wednesday that Coogler will produce the sequel to the 1996 movie that featured Michael Jordan alongside Warner Bros.' animated characters. "Random Acts of Flyness" creator Terence Nance will direct James, and Bugs Bunny, in the film. According to The Hollywood Reporter, which first reported the news, production is tentatively slated to begin in 2019 during the NBA off season.